McPherson expands his sonic palette to exciting effect—and Walston is catchy as hell. JD McPherson has long been one of the more inventive artists with deep blues roots, thanks to a strong, expressive voice suited to a variety of genres and songs that tamper with familiar templates in subtly intriguing ways. 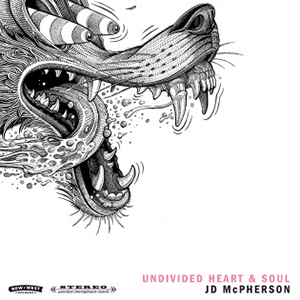 On the exhilarating Undivided Heart & Soul, McPherson makes this implied versatility explicit, expanding his sonic palette to exciting effect, from an eerie ballad (“Hunting for Sugar”) worthy of being repurposed as either a ‘50s teen lament or modern RnB, to sizzling rockabilly (“Bloodhound Rock”). If the colorful pop tinges initially seem like a dramatic departure, McPherson never loses the greasy intensity that made him so compelling in the first place. 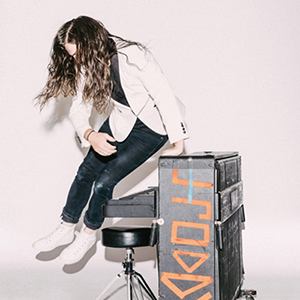 J. Roddy Walston & the Business pursue a similar strategy on their fourth album, updating the band’s down-home version of gritty blue-collar rock with a flashier approach to produce a big, soaring sound. For all the grand gestures, however, Walston remains a soulful vocalist who brings a ring of down-to-earth authenticity to epic songs like “Bad Habits” and “You Know Me Better.” While longtime fans with a purist bent might object to the overt commercial trappings, “Heart Is Free” and “Burn Black” (which echoes Arctic Monkeys) are so catchy that resistance is futile.